"Why did everyone think it all came down to beauty?" Alright. We all love reading. I will choose to read 9.5 time out of 10 any day of the week. And while I completely internally bash people who make fun of me for reading and choose to spend their time watching the 500th episode of Keeping Up With the Kardashians I do have a small confession. I do enjoy me some trashy television. Mostly every season of The Real Housewives...and...The Bachelor...I know, I KNOW! But it is like a freakin' car crash! I cannot look away!!! I hate myself for watching that stupid show and it is the same thing every season but I still watch it. I can't help it you guys! Those girls, oh my gosh those girls! It is just too much and too funny to turn off. Granted, I do fast-forward through most of it, but I digress. 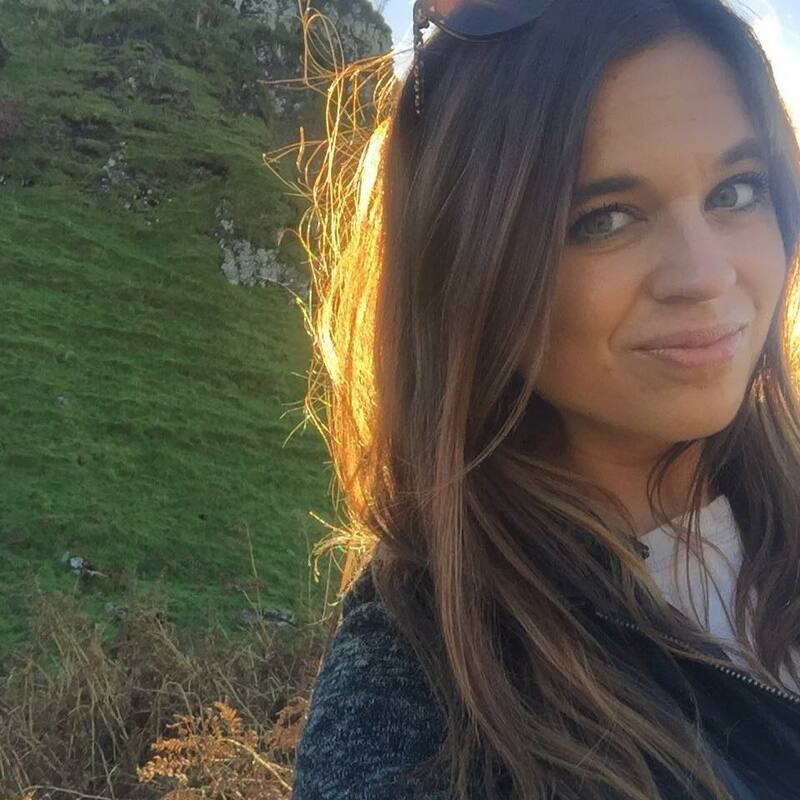 Because of my little side hobby of watching The Bachelor I was completely intrigued with the idea of The Selection. Dystopian world with a competition to win a Prince? Um, yeah, I'll check that out. SO glad I did. This was another re-read of mine this year and I fell in love all over again. Reason? Prince. Maxon. Oh my gosh. Seriously. I can feel my heart racing when I read about him. He is not your typical stuffy and snobby Prince. He is so kind, attentive and FUNNY! Oh my gosh, I think I alarmed the rest of my family because I was laughing out loud to myself at so many points. His smug smile when he is bating America or teasing her in front of the entire nation...couldn't get enough. It was just too sweet and so adorable. Of course we do have another boy in the picture in the beginning of the book, Aspen, America's first love who she is trying to get over but failing miserably. That's about all I can say about this because no plot point shall be ruined by men. And now that I've gone COMPLETELY backwards in talking about ONE character and nothing about the plot I'm backtracking. Apologies. But for real. Maxon. Swoon. So our story. What was formerly North America, we have Illea. Everybody is divided up into castes that are indicated by a number. Depending on your job is the number you are delegated to. Harsh much? This is such an offensive and degrading way to treat humans that I can only hope and pray our world never succumbs to something as horrible as this. In a book? Well, duh I totally loved it. It totally opens up the discussion of human worth and value and how people cannot be identified solely based on their status in life. We see that with our characters and I loved the entire concept of exploring the nature of human beings here. As far as world building goes, we actually get a really great foundation and details about how this world came to be. The girls in the Selection get history lesson that very briefly but succinctly went over the nitty gritty of how we go to this point. I thought this was fantastic. It didn't drag on, it wasn't difficult to understand, it was perfect. And what dystopia would be complete without a little political drama and some rebellions going on. This part wasn't talked about too much, I have a feeling we get more in the next book. America, our main character is extremely likeable. She is a Five in this caste system of Eight. Because of this she is so generous and kind and gracious for everything this opportunity has given her family. And she is real. She sees what an objective crock this competition can be (i.e. The Bachelor) and she never hesitates to speak her mind. And she's funny! I just really like her. I wish she would get over what's-his-face but it's fine. It'll make when she chooses Maxon that much better...*crosses fingers*. Oh and for some reason, while the reasoning behind her name is beautiful, I just do not like her name in the least but that's just a personal opinion. Yay for this book!!! I really want to read it again before The Elite comes out. 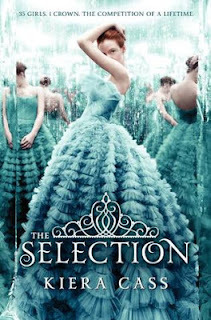 I put off reading The Selection for so long and really hate that I did; it was so good! Great review and can't wait to see what you think of The Elite! I can't wait to read The Elite either! I loved how it was like the bachelor, it was a fun light hearted read but still so well done! I did not even think about it but as soon as you mentioned it I was like YEP, did not like the name America either. But I did like her as a character.